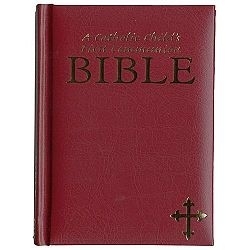 This Catholic Child's First Communion Bible would make a wonderful remembrance gift for that special day. 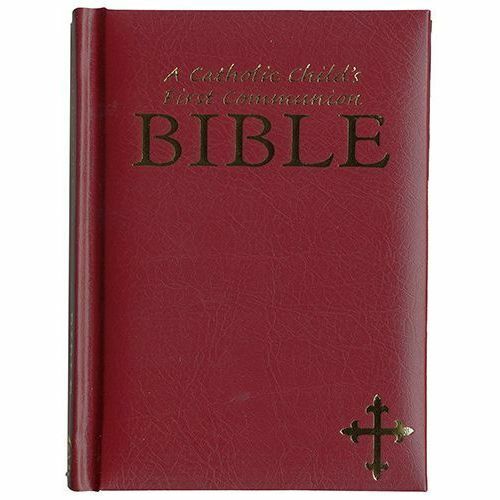 This is an ideal beginning Bible for young Catholics from ages 6 through 9 years. It will help young children celebrate the important sacramental events in their lives. All editions feature padded covers, gold edges, gold stamping, and a nice gift box.